Black Friday is a retail event that is observed mostly in the US and the UK. It is the Friday after Thanksgiving, and it is a time that many bargain hunters search for the perfect holiday gift. Many retailers advertise special deals or offers on this day, and it is heavily marketed to consumers as the day to go out and purchase a big ticket item. Where does the term Black Friday come from? One theory is that the name comes from the early morning hours many shoppers rise, often before dawn, to line up to purchase big screen televisions, the hottest toy, or other “must-haves”. Another theory is that it helps retailers to land in the black (as opposed to in the red) after the accounting cycle closes at the end of the year. There’s a push to move inventory, and the sales generated can potentially help businesses to turn a profit. A third name for Black Friday is attributed to the fact that many workers and employees would call off sick that day, in order to have a four day weekend after the Thanksgiving holiday. Many places of businesses offered incentives to their employees like bonuses to encourage them to come in that day. 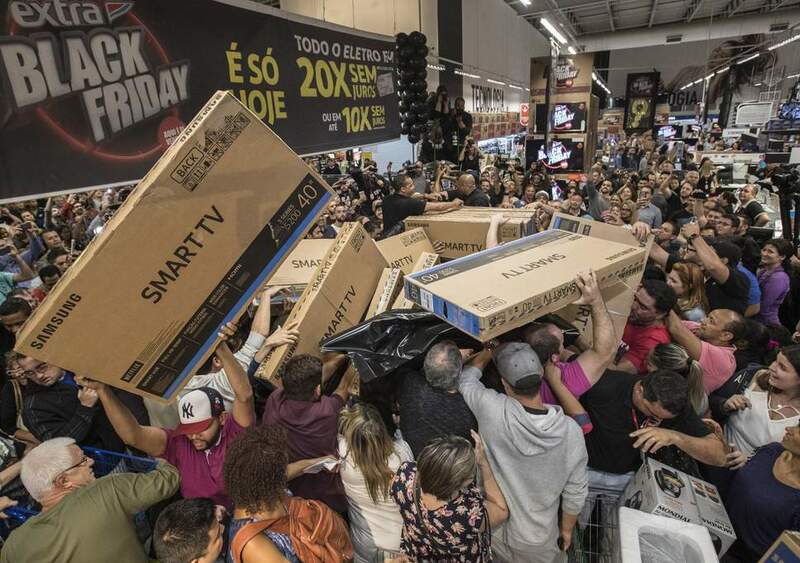 There was a movement to change the name of Black Friday to Big Friday, because some of the purported origins of Black Friday are unsavory. Nevertheless, to this day the Friday after Thanksgiving is called Black Friday. Even though retailers tried to change it in order to encourage a more positive frame of reference to their customers, the name stuck. Black Friday was once signaled by the Santa Claus Parade. After the conclusion of the parade, the holiday season (and thus shopping) had officially began. It didn’t become a household term until the 1990’s, when advertisers and retailers saw an opportunity to move inventory by promoting another holiday. The term began in Philadelphia, to describe the crowd and congestion in traffic on that day. It moved slightly to the New Jersey area in the 1980’s. Eventually, it caught on nationwide in the mid 1990’s, and now it is a ubiquitous event with almost every retailer. Shoppers spend billions on this day every year on gifts for themselves and loved ones. The following days after Black Friday are inspired by the name, and have similar meanings and significances. For example, Small Business Saturday is the Saturday after Thanksgiving, and it encourages shoppers to patron local small businesses in order to support their community. Another alternative to Black Friday is Cyber Monday, which is growing in popularity every year as more shoppers become comfortable with digital shopping. On Cyber Monday, shoppers can find great deals on all of the products they love, and some they have never even heard of, all from the comfort of their home or convenience of their smartphone. A few weeks down the line is Green Monday, which is another big shopping day in December preceding the Christmas holiday. Whenever and wherever you choose to shop, you’ve probably heard of Black Friday. It’s a big event for many customer service places, and there are plenty of deals to be had.